For almost an entire century, Karastan has been providing carpeting that pushes the envelope and leads the industry in both style and quality. Although Karastan Carpets have always been some of the best in the business, new technology has made it even softer and more magnificent than ever before. And, Karastan Carpets are available in a wide range of fiber types, from nylon options that provide beauty and durability to SmartStrand options that are easy to care for and are virtually maintenance free, they have an option for every lifestyle and every style preference. The tools you use play a role in how long your carpet will last. Buying high-quality carpet is only the first thing you should do to enjoy long-lasting luxury, but at the end of the day, even the very best carpet requires proper care and maintenance. A big part of that care and maintenance is regular vacuuming. Vacuuming your carpet on a regular basis will help to keep the air pure in your home, make your home look top-notch and keep your carpet in great shape for as long as possible. But, not every vacuum is made equal, and if you purchase the wrong one, you won’t get the results you expect. Many of the vacuum manufacturers this day and age are focused on developing vacuums that have extremely high suction capabilities. For hard-surface flooring, like vinyl or linoleum, as well as low-pile carpets, these vacuums are extremely effective and can help you clean your floor in no time. But, for high-pile carpets that are soft and thick, like some of the softest options available through Karastan, these high-suction vacuums aren’t such a great option. How to select the right vacuum. In order to get as many years as possible out of your carpet, it’s important to not only vacuum on a regular basis, but to do so using the right vacuum cleaner. With so many vacuums out there to choose from, it’s not always easy to find the best option for your needs. That’s why the talented floor installers at Floor Expo have come up with this list of features to look for when choosing the right vacuum for your premium soft, wool-blend, wool or high-pile Karastan carpet. 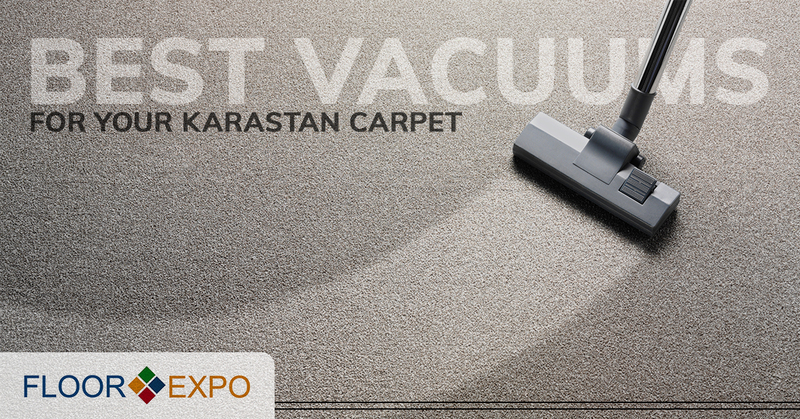 Adjustable Height – Look for a vacuum that has an adjustable height feature, and make sure it is set to the highest setting before you start vacuuming your Karastan carpet. 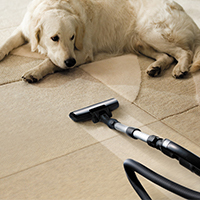 Efficient Airflow Suction – Look for a vacuum that gives you the ability to adjust the suction strength. A Detachable, Suction-Only Brush – The brush that comes with your vacuum should be detachable and should come with a “suction-only” option, because “scrubbing” with the brush can cause fuzz to form from the wool fibers. Large Wheels – Always look for large wheels when shopping for a vacuum cleaner. It should be able to glide over your carpet easily and without crushing it. To ensure that your Karastan carpet stays as beautiful as possible for as long as possible, you have to take proper care of it, and you can’t do that if you have the wrong vacuum cleaner. We hope that the above tips will help in your search for the right vacuum, but if you’re still unsure, you can always check out the Karastan Vacuum Buyer’s Guide by clicking the link below. And, as always, if you need further help taking care of your new carpet, the experts at Floor Expo are here for you. As New York and New Jersey’s premier flooring contractors, we’ve got what it takes to handle all of your flooring needs.